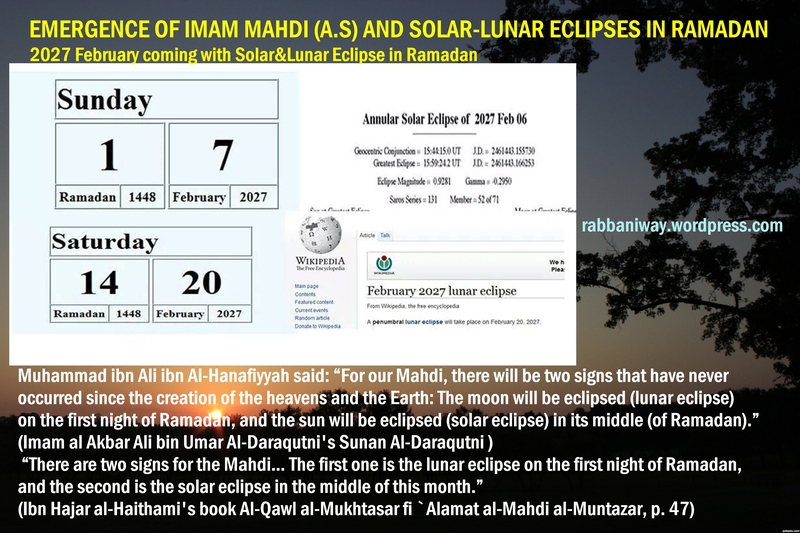 So if 2027 Eclipses is during the reign of Imam Mahdi (A.S) then Imam Mahdi (A.S) rule has to be established within 2022-2027 as this may be happen in the first half of his regime time!, because Messiah (A.S) will come forth during the reign of Imam Mahdi (A.S), Allah and His Messenger knows best! 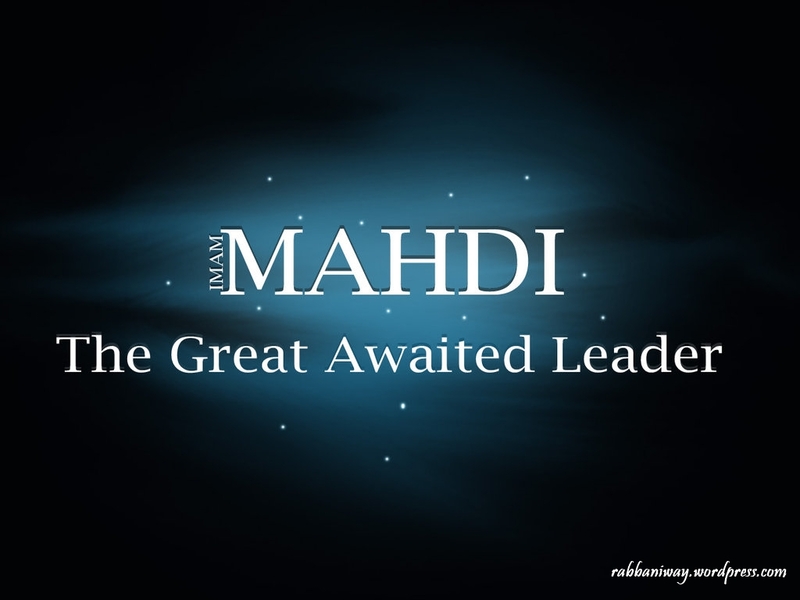 Ali bin Abdullah bin Abbas said: “The Mahdi will not emerge until the Sun rises as a sign (or unless a sign emerges from the Sun).” (Al-Baihaqi, Al-Haakim, Al-Harbi, AsSuyuti, Nuaim bin Hammad’s Kitab Al-Fitan, Ibn Hajar al-Haithami’s book Al-Qawl al-Mukhtasar fi `Alamat al-Mahdi al-Muntazar, p. 47, Al-Muttaqi al-Hindi’s book Al-Burhan fi Alamat al-Mahdi Akhir al-Zaman, p. 33 ) Another variation says a sign appears with the sun. Moon of doom: This week’s blood-red moon signals Armageddon, say the Bible thumpers… Time to head for the hills! Ali bin Abi Taleb said: ” After the Khusf (land collapse), a caller from Heaven calls: ‘The truth is in the family of Mohammad ‘ in the beginning of the morning. Then, another caller at the end of the morning calls: ‘The truth is in the progeny of Jesus.’ This (second call) is from Satan.” (Nuaim bin Hammad’s Kitab Al-Fitan) A variation of this narration is attributed to Abi Ja’far mentions that the second caller says that the truth is in the family of Jesus or Al-Abass and this second call from Satan from the bottom of the Earth. Most People don’t understand or perceive this signs, because their life is only a time pass (hobby) not serious and to falsely believe god is in them or spirit of truth/holy spirit guiding them! But in understanding and perceiving divine signs, they are zero!! !